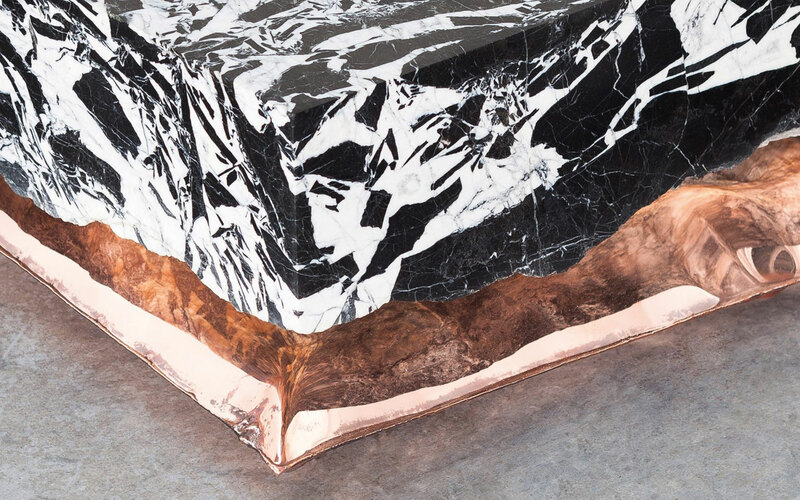 Marble and metal meet in the InHale collection created by the Belgian designer Ben Storms. 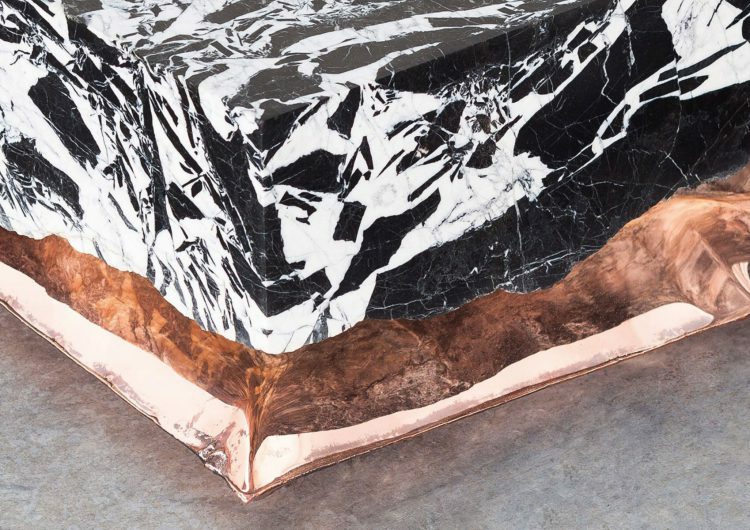 The artist placed huge blocks of marble on top of inflated metal “pillows” to create this range of coffee tables, exhibited at the first edition of Collectible Design Fair. Storms wanted his InHale collection to give the illusion that each heavy mass of marble has “a light state of being.” Weighing between 200 and 900 kilograms, each marble slab is designed to look as though it is softly placed on top of its inflated metal support. Each block of stone has been recovered from the waste of a recently reopened quarry, which had been closed for over a century. 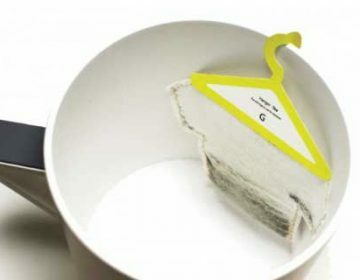 The designer wanted to bring together two contrasting elements by applying new, innovative techniques to an old piece of marble. Each table is composed of a block of marble that has been left in its original, unrefined state underneath but buffed on the top to leave a smooth, even surface. To create the inflated table bases, Storms used a hydroforming technique. This saw two pieces of metal sheet welded together, positioned on top of the marble surface and injected with high-pressure air. This forms what he describes as a “pillow”, which is then sculpted onto the uneven underside of the marble using a mould. The pillow takes the shape of the stone and is formed into levelled position. In order to withstand the heavy weight of the marble, the inflated metal is then injected with foam to keep it in its original shape. 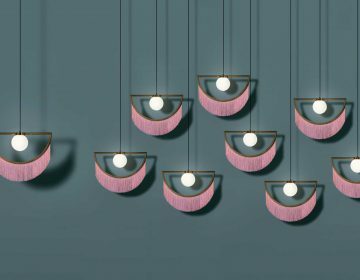 The Inhale coffee tables were exhibited at the first edition of the 21st-century design fair, Collectible, which took place last week from 8 till 11 March in Brussels.